When Emma Watson first popped on the movie screen for Harry Potter (yup - I'm a fan! ), I didn't think about how far she would go in the fashion world. However, the more she pops up, the more I like her. 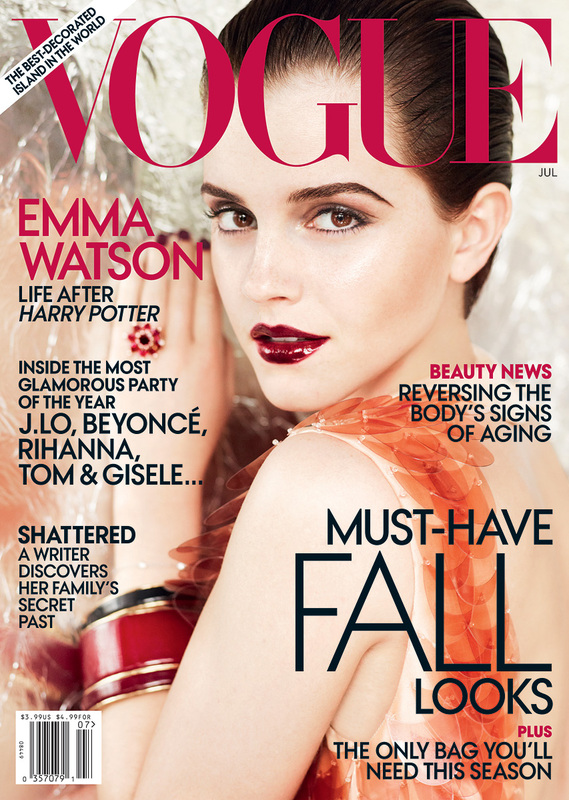 Now that she is currently gracing the cover of Vogue, I'm having a major "girl crush" moment. I'm enjoying the fabulous Mario Testino photographs as well as a dose of a couple of her fab red carpet moments.